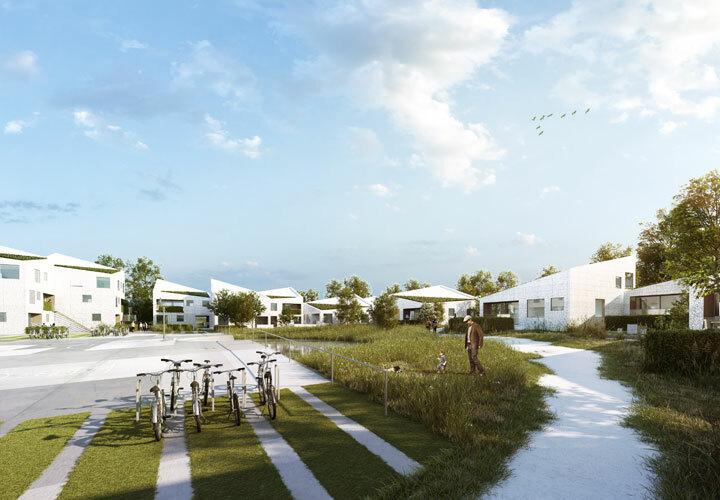 This residential project is part of the first stage of realising Nye, an entirely new suburb for 15.000-20.000 inhabitants north of the city of Aarhus. CEBRA and Tækker Group have designed the master plan for Nye, which forms the foundation for the development of the entire 150 ha site. 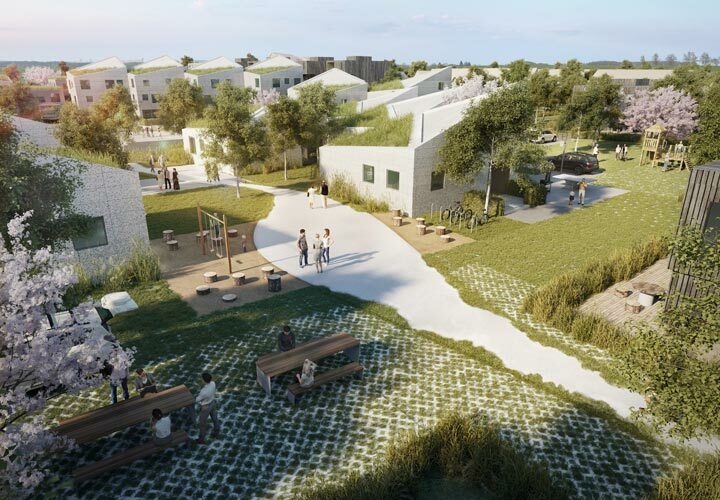 The master plan is based on principles for a holistic approach to sustainable urban planning, which combines the best aspects from the dense city centres and the open green suburbs respectively. 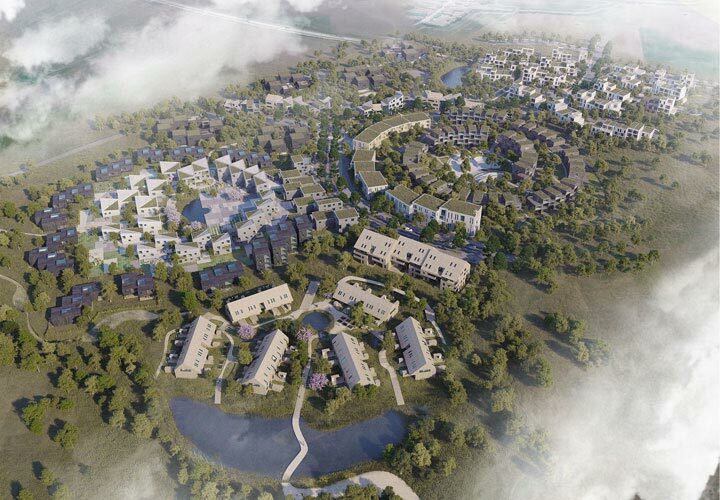 The overall disposition of the development, named “the Sunflower”, condenses a circular string of individual buildings into clusters in order to create a transparent and accessible complex. Openings between the buildings allow for a natural transition between the surrounding areas and the inner common court yard. The offset building volumes along the circle create a “frayed” edge with niches and openings, which provides spatial diversity along the streetscape, the facades and towards the court yard. 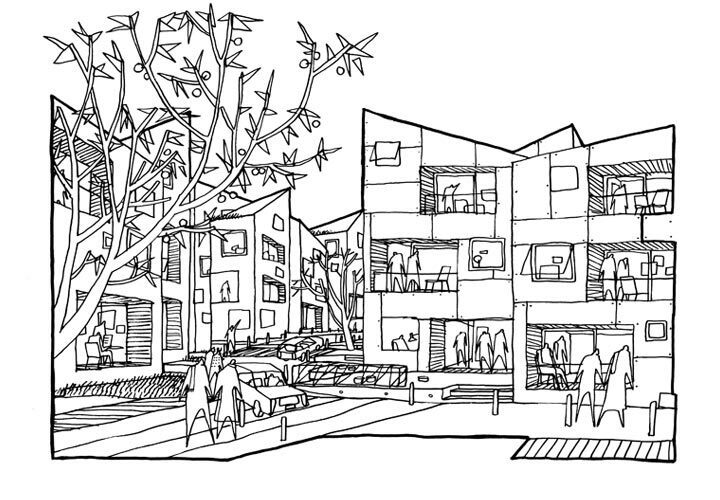 The complex consists of a composition of different well-known dwelling types from both the city and the suburb. These types grade from one end of the site to the other, from cluster houses over double houses and town houses to apartment houses. 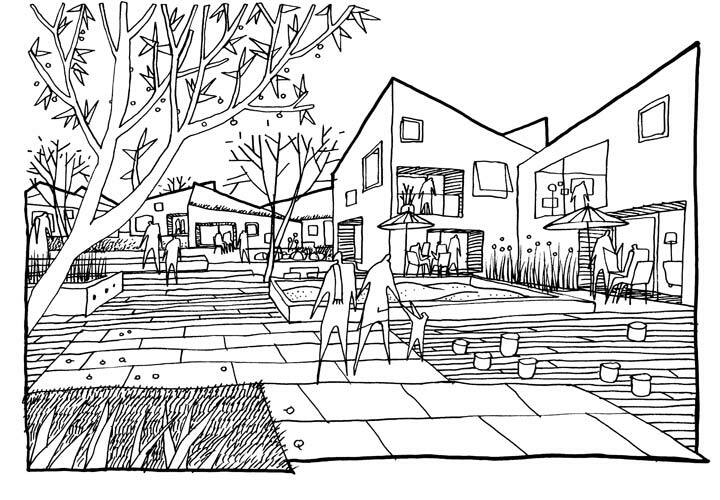 In this way, differentiated outdoor spaces, building volumes and dwellings create a varying housing area that supports social diversity. The “porous” building structure is tied together by one recognisable formal element – the distinctive roof profile. 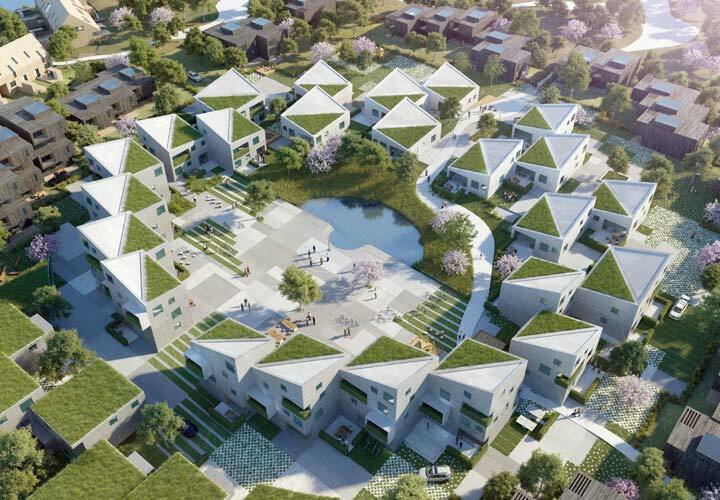 The shape of the roofs is an interpretation of the classic pitched roof, which can be described as the Sunflower’s common denominator, familiar from both urban and suburban housing architecture. The first stage of Nye has been developed in collaboration between the Tækker Group nine of Denmark’s leading architecture offices, each of which has designed a part of the development. Besides designing the Sunflower, CEBRA continues in the role of lead architect on the master plan throughout the realisation of Nye.